s business owners we rely on a strong network of people and resources to help us - whether that’s helping us just get through the day or accomplishing our short and long term goals for our business. Here are my favorite resources for building a successful business! Do Your Ads Make You Look Cheap? 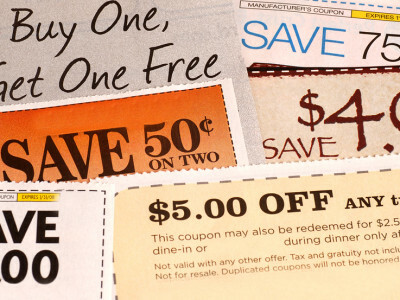 As I’m perusing endless pizza and carwash coupons I noticed a huge difference in how the bigger companies advertised compared to the small local companies. Can you spot the difference between the big company ads and the small company ads? It's HUGE. We, of all people shouldn’t be doing anything wimpy. We’re the brave of the brave – if we liked “easy” we’d still be rotting away in some cubicle somewhere. But we’re not, we're small business owners; entrepreneurs. We love a good challenge. We thrive on risk. So then WHY in the world do so many of us wimp out when it comes to our marketing??? Why??? I wasn't convinced that Pinterest made sense for a B2B (business to business) company. But, after much feet dragging and hemming and hawing about joining another site, I decided to go ahead and check it out for myself; exactly 4 days ago! And guess what? I'm hooked!